We work on counting in everyday activities. We count cars, books, crackers, even people. So for this activity I wanted to try something new, we had some left over balloons and I found a cup full of dice. 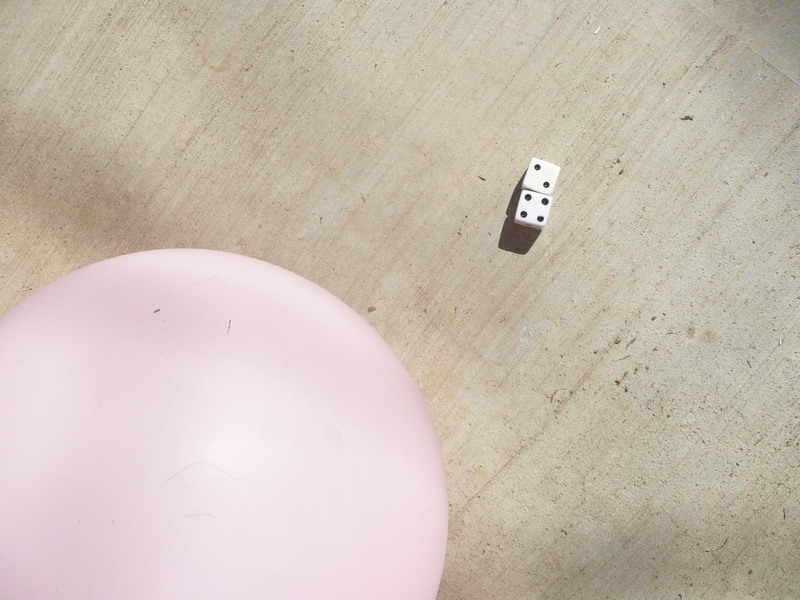 So here you have it Balloon Dice! There are two important counting skills kids will learn, and this game works on both. Counting out loud in sequence is one skill, counting objects is another. Big M, Little M and I picked our balloons. I had Little M roll two dice. We all worked together counting the dots, she rolled a 6. We stood back and gave Little M some room. 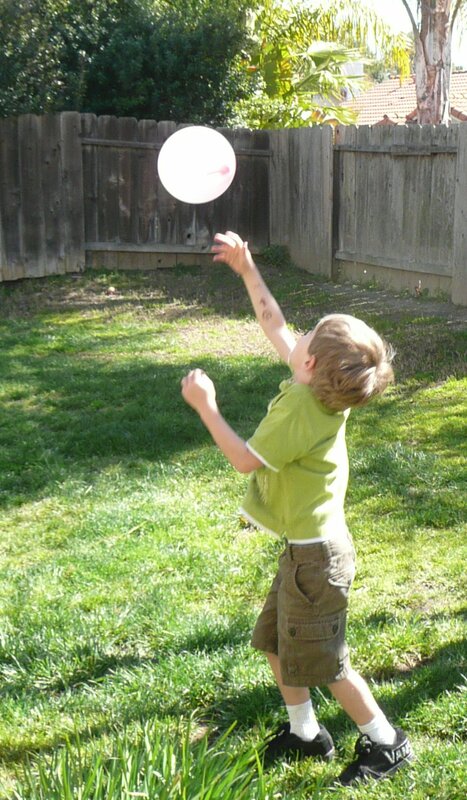 The goal was to keep the balloon in the air for 6 hits. It took a few tries and one hit from Mom, but Little M accomplished the task. Next up. . .Big M. Big M loves adding and subtracting so he counted both dice and then added the numbers together. An unexpected bonus presented itself in this activity. 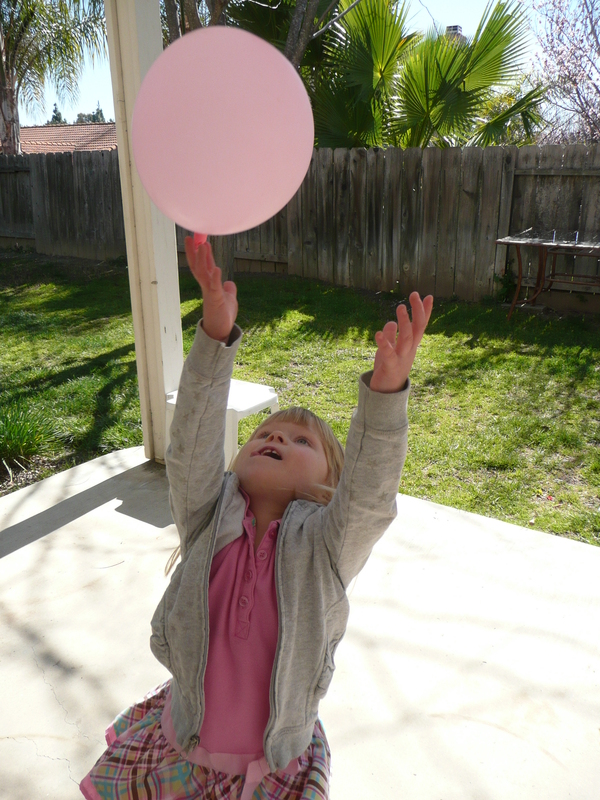 Little M had a hard time keeping the balloon up by herself when we started, but by the end she had no problem at all. I didn’t realize how much concentration and effort would be involved in keeping the balloon close by. I was impressed with her persistence, but I stayed in arms reach if she needed a little extra help. Tips: 1. 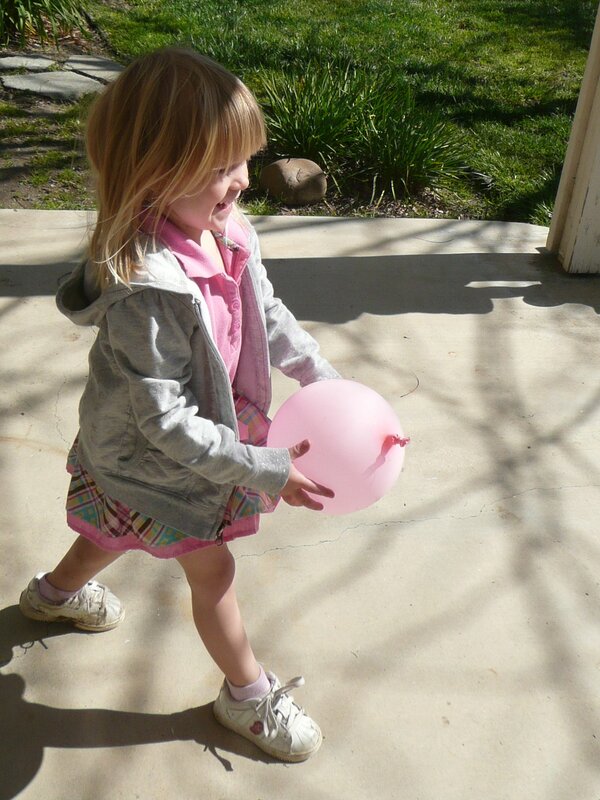 Make sure to have extra balloons on hand if you play outside. We popped a couple that hit the grass. 2. Use 2 dice if your child is counting to 12, but if your still working on 1-6 just use one die. For more movement activities visit Shape Scotch and Sensory Walk. tissue box car wash. . .
What a great way to see numeracy in action and so simple. J is starting the understand the concept of counting and so an activity like this one might be on the plan for next week. I think the balloons might be a little difficult for him at the moment (we might do kicking a ball instead) but still, a really great outdoor activity. Great idea! I’m off to get some balloons for my grandson so we can add and bounce! Yay! How did it work. Have you ever seen D&D dice? D&D uses several different dice – as well as the standard 6-sided dice, they use 4-sided, 8-sided, 10-sided, 12-sided and 20-sided dice. I could see those unusual dice being really nice for this activity.